Pregnancy can lead to dental problems in women, including an increased risk of tooth decay and an increased chance of developing gingivitis (gum disease). These problems can in turn affect your delivery, with studies showing that as many as 18 out of every 100 premature births may be triggered by gum disease. It is always important to take proper care of your teeth and gums. However, if you are pregnant it is even more essential that you do all you can to avoid gum disease and other dental problems. Your baby’s teeth and mouth start to develop in the first weeks of pregnancy so by taking good care of your own oral health you will, in turn, help support the correct development of your baby’s dental health. You may find that your experience unusual food cravings (or avoidance) during your pregnancy. It may also be the case that you have increased cravings for sugary foods. Snacking on sugary foods too often is bad for your teeth and can lead to an increased chance of tooth decay. You should try to snack on low-sugar alternatives where possible. However if you are finding it difficult to avoid your cravings then you should always rinse your mouth out with milk or water after consuming sugary food and drinks to stop plaque building up on your teeth. During your pregnancy you will need an increased amount of certain vitamins. Calcium in particular is important not only to help your developing baby but also to protect your own bone mass. Vitamin D is important as well as it help the body utilise calcium. You can find calcium in yoghurt, milk and cheese and Vitamin D in eggs, fatty fish including salmon and margarine. During your pregnancy you should look to increase the amounts of these foods you are consuming. During your pregnancy your body will have increased hormone levels which can make your gums more vulnerable to plaque. 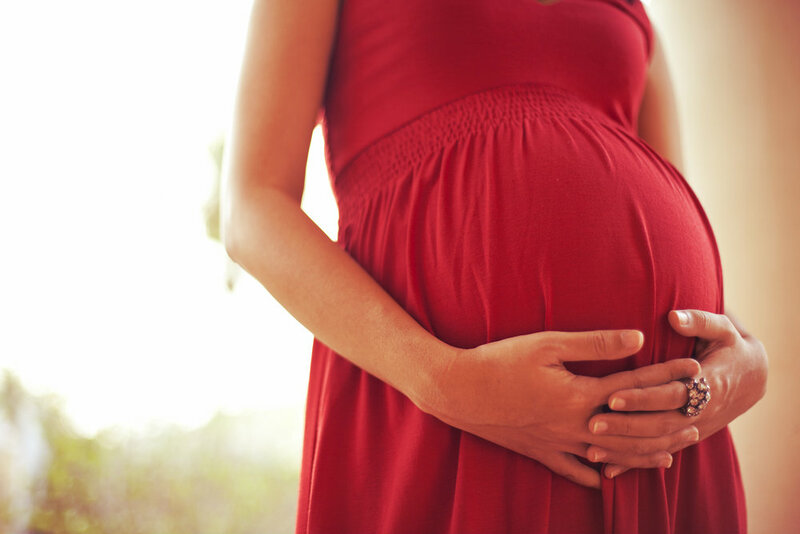 In fact, 40% of women will develop gum disease as some point in their pregnancy. Research has also indicated a connection between gum disease and premature births and low birth weight. If your baby is born prematurely they could have problems with their hearing and eyesight and are at risk of health conditions such as cerebral palsy. 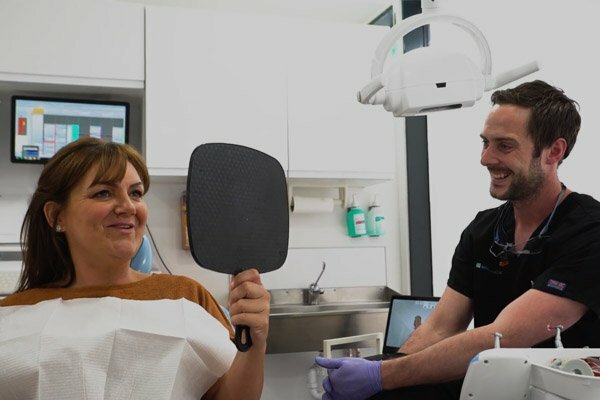 If you experience soreness, swelling, pregnancy tumours (growths between your teeth) or bleeding gums you may be showing the first signs of gum disease It is imperative that if you experience any of these symptoms that you visit your dentist. It is often the case that hormones produced during pregnancy will soften the ring of muscle that keeps your food inside your stomach. As a result, you may experience morning sickness or gastric reflux during your pregnancy which will lead to your teeth becoming coated with stomach acids. If this happens repeatedly during your pregnancy you can damage your tooth enamel which can lead to an increased chance of tooth decay. If tooth decay is left untreated you may require root canal treatment. To ensure your teeth are not affected by morning sickness you should rinse your mouth out thoroughly with tap water and follow up with a fluoridated mouthwash. Whilst it will be tempting to brush your teeth straight away you should try and wait at least an hour as your stomach acids weaken your teeth and brushing straight away can damage your teeth. It may also be the case that brushing your teeth is affecting your gag reflex. If you are experiencing this problem then you can try using a toothbrush with a smaller head, try distractions whilst brushing including listening to music, or simply slowing down your brushing action. Pregnancy can be a difficult time for your health in a variety of ways. If you are trying to become pregnant then you should consider your current dental hygiene routine. You are less likely to develop dental problems during your pregnancy if you already maintain a good oral hygiene routine. Correct dental treatment during pregnancy was found in one study to reduce the risk of premature birth by over 80 percent. Dental care is provided for free by the NHS during your pregnancy and for one year after your due date. You simply need to fill out a FW8 form to apply for a maternity exemption certificate (MatEx). To find out more you can contact Brite Dental NHS Dentist and Cosmetic Dentistry in Scotland.